This listing is for 1 Easter Designer 9 oz. 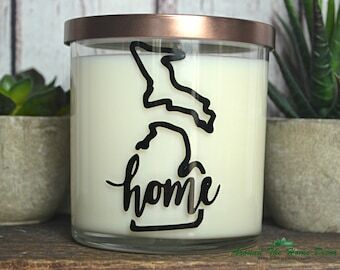 Soy Candle with your choice of Fragrance and either a Cotton Braided Wick or a Crackling Wood Wick. 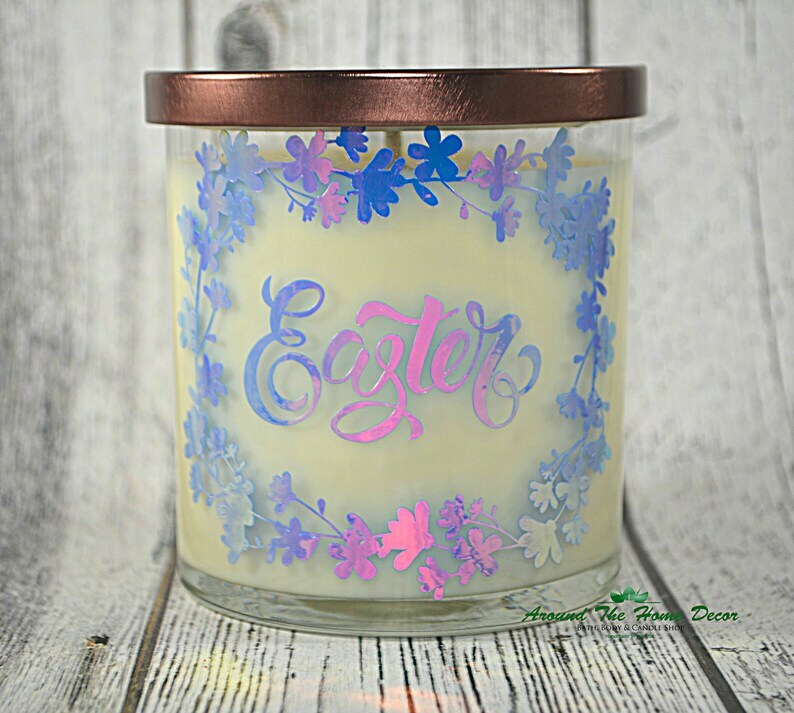 The design on this candle features the word Easter and a delicate border of flowers. 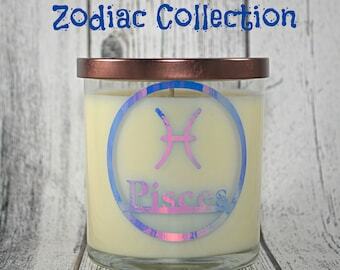 The design is made of Opalescent Holographic Vinyl cut and applied myself to give your handmade item a gorgeous finish that will look wonderful in any room and please any gift recipient. Photos do not do this vinyl justice. You must see it in person to appreciate it's beauty.